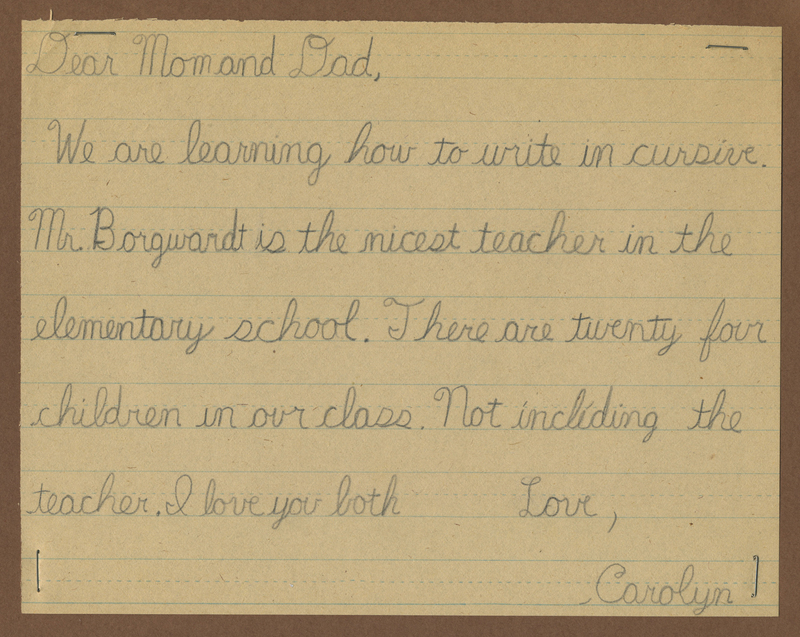 Carolyn Porter | "We are learning how to write in cursive..."
A handwriting sample from third grade. – I have always been fastidious about my handwriting. 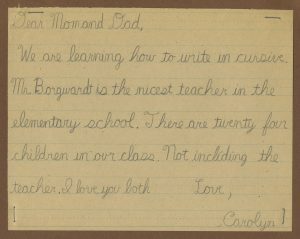 – I have always been a fan of connected cursive script. – I have always been specific. Honestly, I think it’s a Porter thing.